"Vulcan Tires was a pleasant internet shopping experience. I highly recommend them." 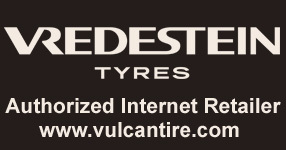 Vulcantire.com is authorized by Vredestein Tire Co. to sell Vredestein brand tires online. As such, all the Vredestein tires we sell were recently purchased directly from Vredestein and are backed by the manufacturer's warranty. Note that Vredestein does not allow the sale of their products on Amazon, ebay and similar sites. 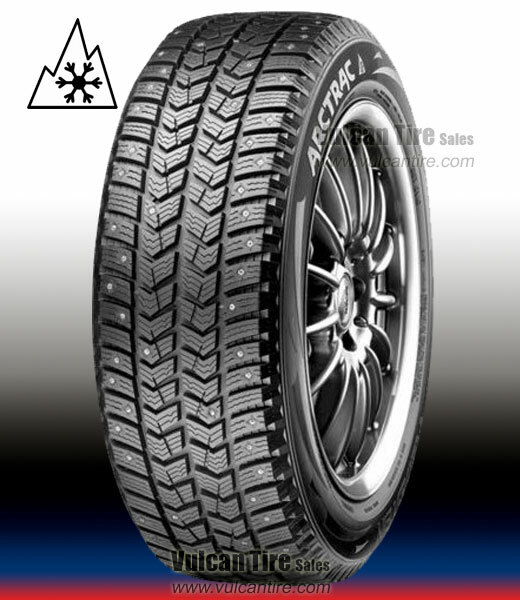 The Arctrac was developed for extreme winter conditins and various types of snow and ice. The angular 3D shoulder contours and stepped inner surface of the groove provide additional diagonal grip and stability, especially in snow. The intelligent tread construction means spike loss is reduced, ensuring their effectiveness. Tapered diagonal grooves give the best possible self-cleaning performance. Even in the coldest weather, the Arctrac guarantees excellent handling, a short braking path and fast acceleration. Sophisticated Spike Algoritm (intelligent stud disruption in footprint) and smart tread construction offers excellent grip on snow and ice with minimal loss of studs. Angular 3D contour with stepped inner groove surface offers additional diagonal grip, stability and superb holding. Innovative tread compound offers great grip even in extremely cold conditions. Tapered diagonal grooves offer superior self-cleaning performance in snow and slush. Specially adjusted tire contour (per size) offers equal pressure distribution on the studs, improving grip.